Today's post is the second of my three Glitter Gal colors that I will be showing you. This one is from the Transitions line and is called Soft Green. Let's take a look at one coat over black. Truthfully, I had a very hard time with this polish. I had to redo a number of nails because it went on inconsistently, and then dried too quickly for me to even it out. I had the most success getting a huge blob of polish and then spreading it around as fast as I could. I wish that the polish particles, when layered, looked more like shimmer or glass fleck rather than keeping a pearly/frosted appearance. 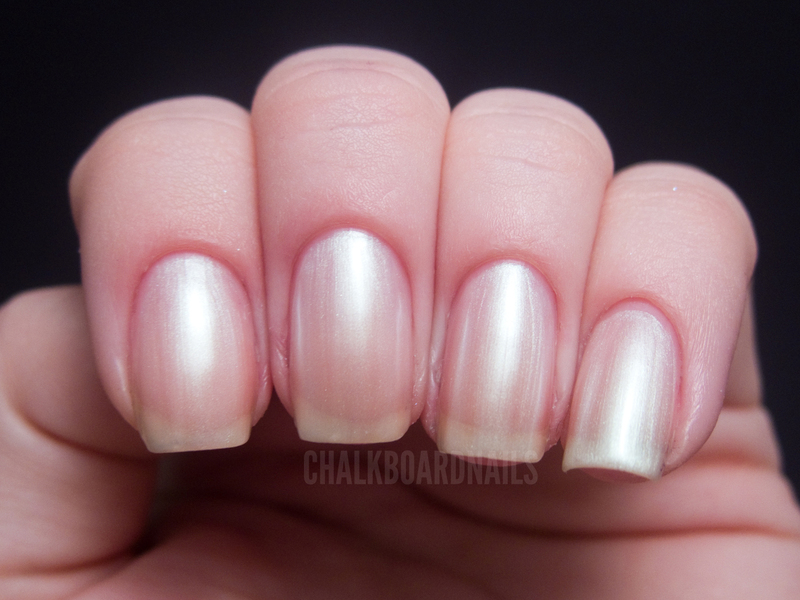 It is interesting to me though, how a polish can look so green when it just looks like a standard pearl finish on its own. Here is three coats of Soft Green on its own. 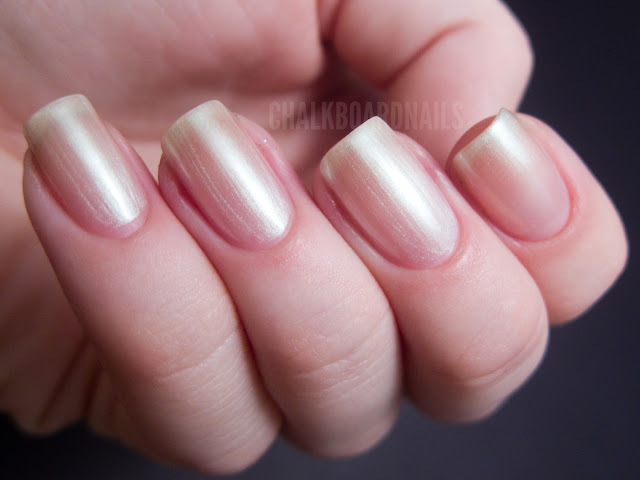 Sheer, pearly, frosty. I'm not a fan of this look at all, but it could be good for people that work in offices with conservative dress codes or something. Sorry Glitter Gal, this polish just isn't for me. Soft Green is 15mL and retails for $17.95 on Ninja Polish and other similar retailers. I think it looks lovely on it's own, perfect for someone who doesn't want loads of colour on their nails. As much as I like the color over black, I think it looks pretty unfinished. And coming from someone who is so good at painting nails, I have to assume it's the polish!! whoa!! this indeed is interesting!!! the creator is genius! an accomplished freelance writer who is an expert in the student loan consolidation field.